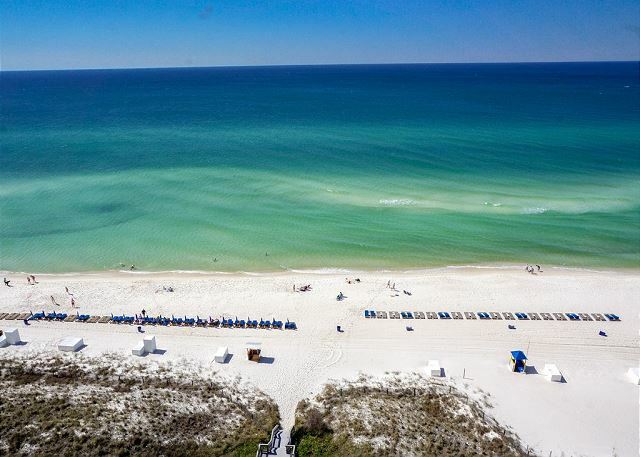 Welcome to Sunrise Beach 1506 – your luxury beach retreat! 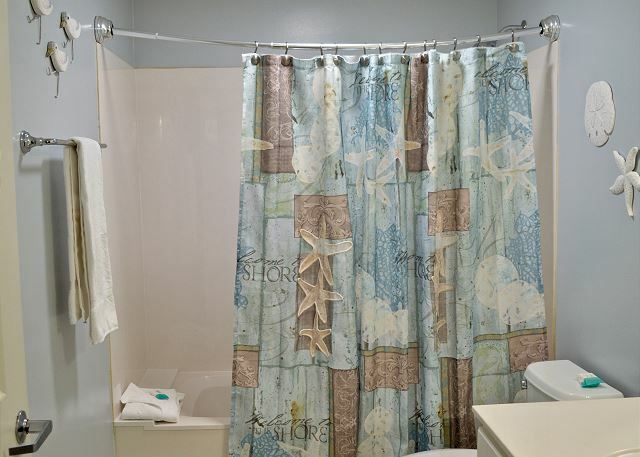 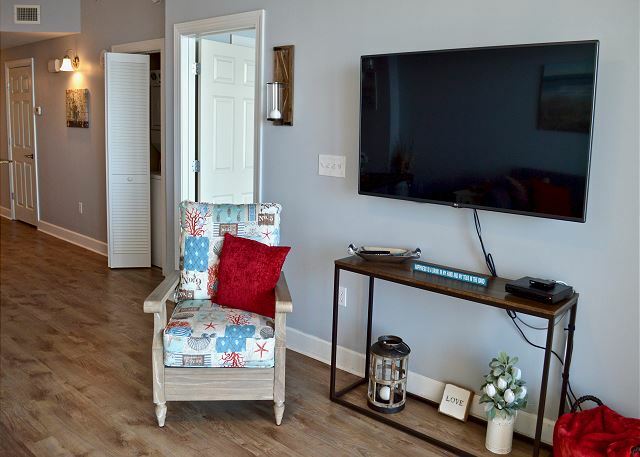 This unit is under new ownership and management and completely redecorated! 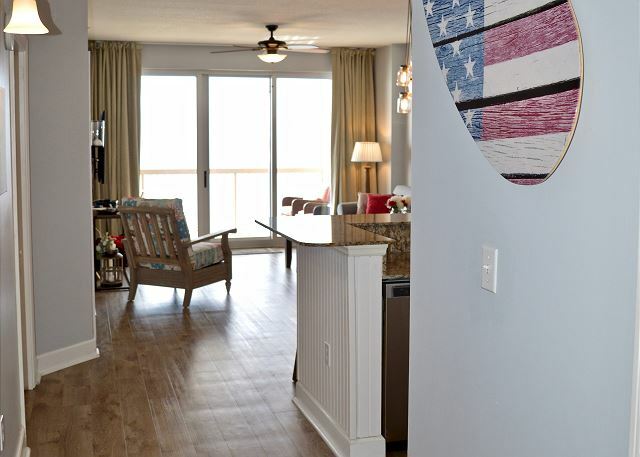 Our beachfront condo in Panama City Beach was outfitted with great care to be a home away from home, for us as well as our treasured guests. 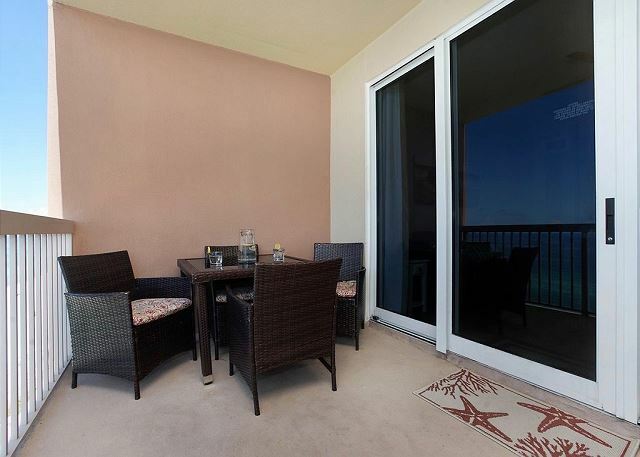 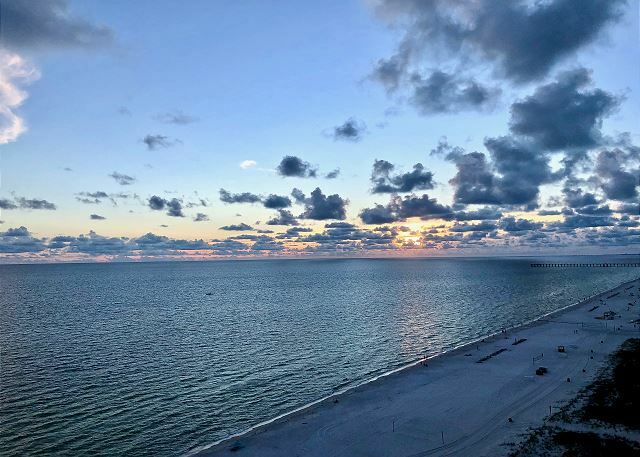 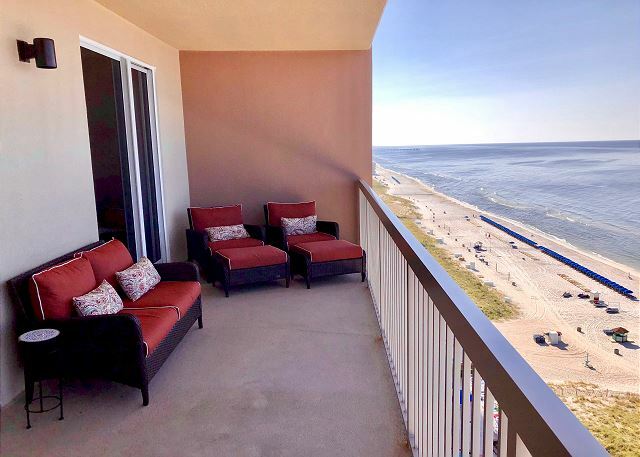 We selected Sunrise Beach unit 1506 because it is very spacious and offers incredible views of the beach and Gulf of Mexico. 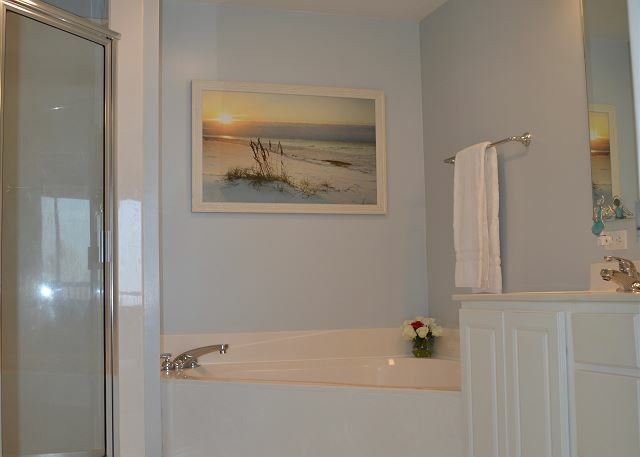 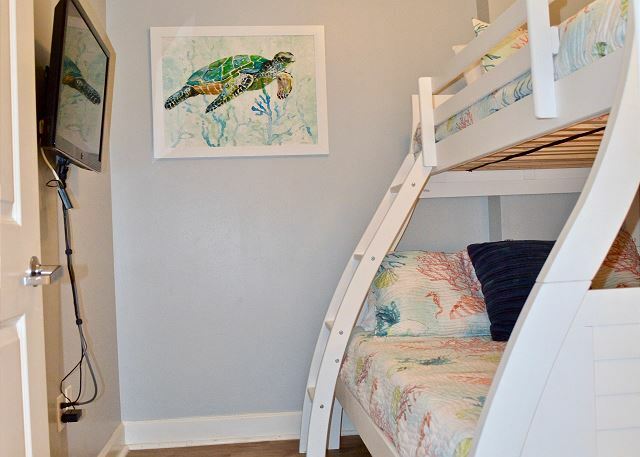 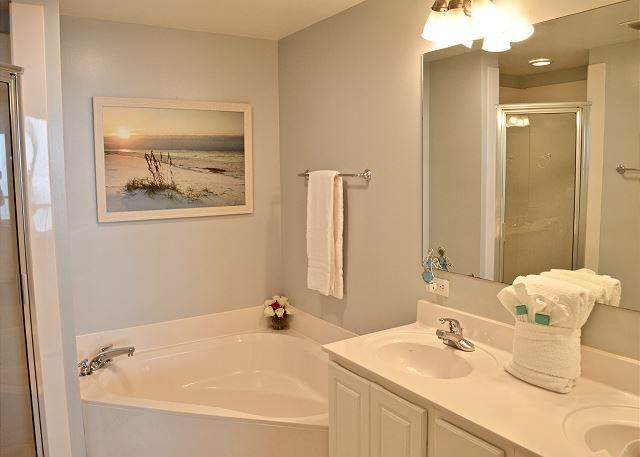 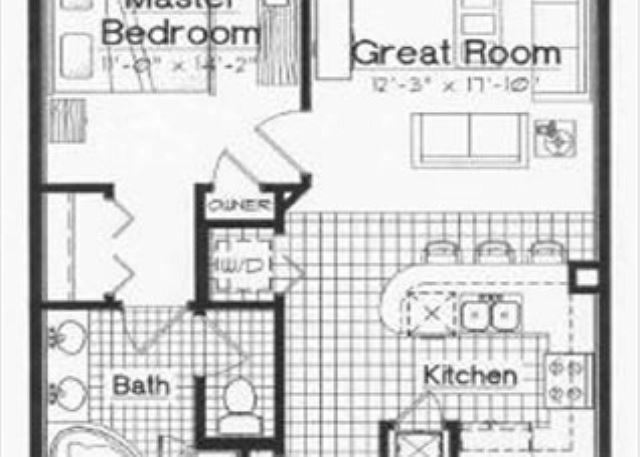 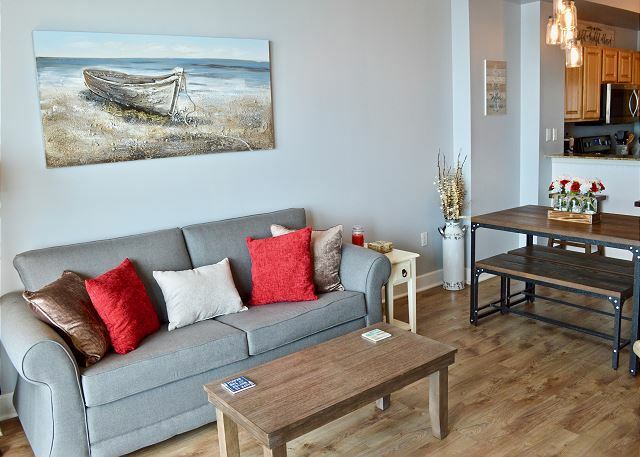 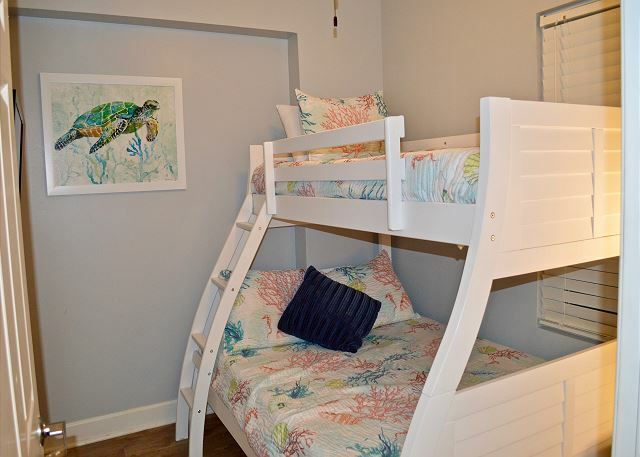 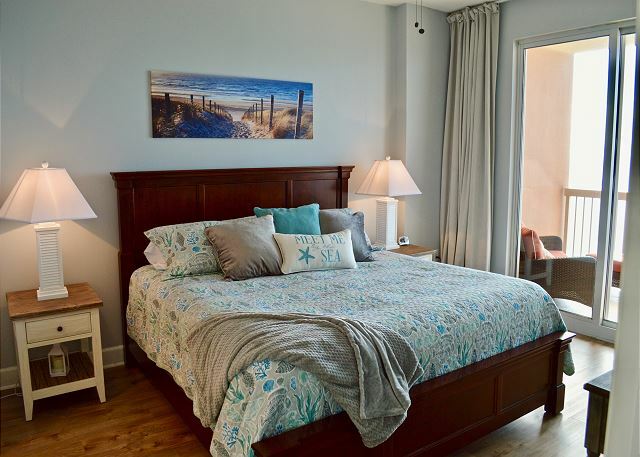 This two-bedroom, two-bath beach residence has sleeping accommodations for 7. 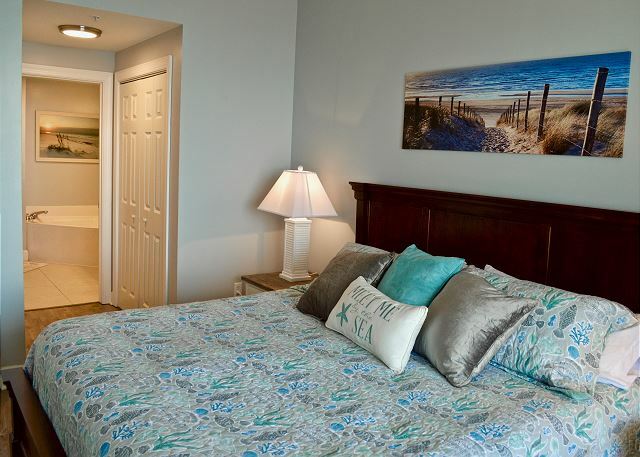 It boasts a spacious living area with a queen sleeper sofa, a gulf front master with a king bed, and a second bedroom with a twin-over-full size bunk bed. 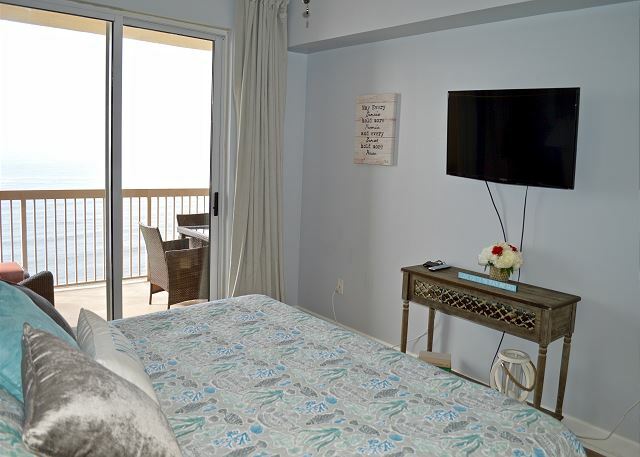 The oversized balcony is furnished with comfortable deep seating to enjoy the spectacular sunsets and a dining table for morning coffee while the dolphins play in the water. 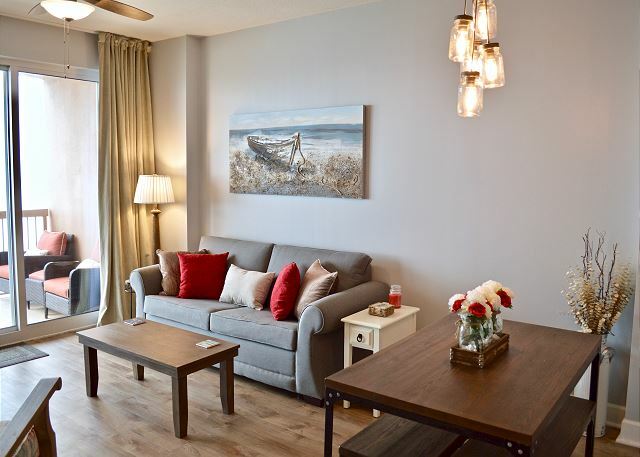 Since we spend time here ourselves, we’ve made sure that this condo is decorated for maximum comfort as a peaceful respite and cozy atmosphere for making family memories, creating the feel of home at the beach. 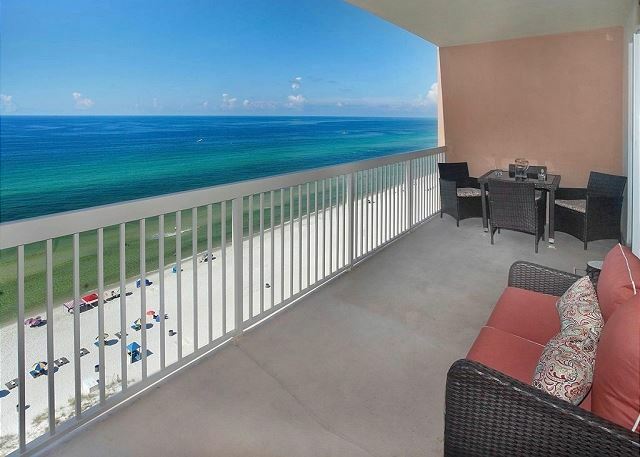 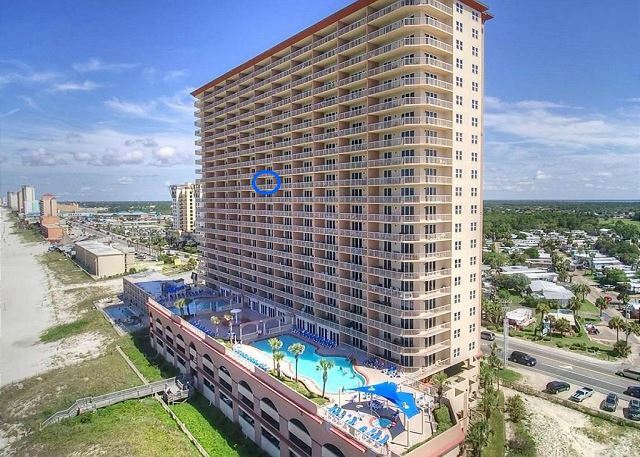 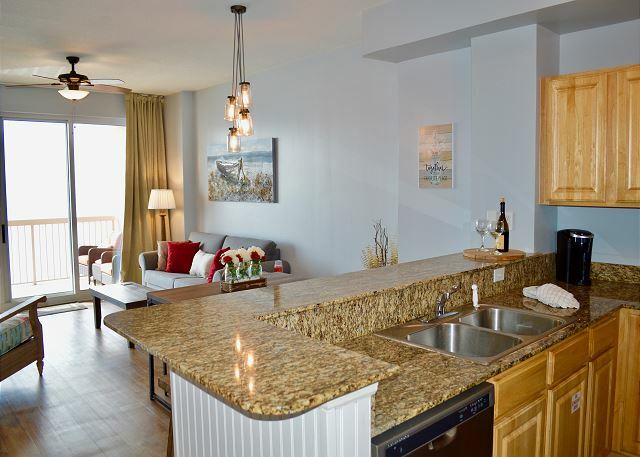 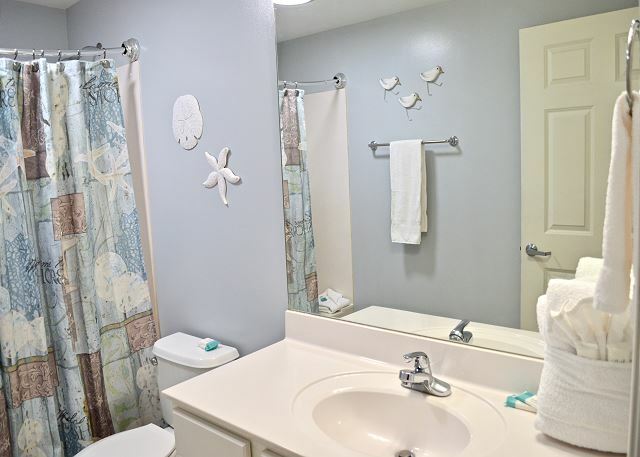 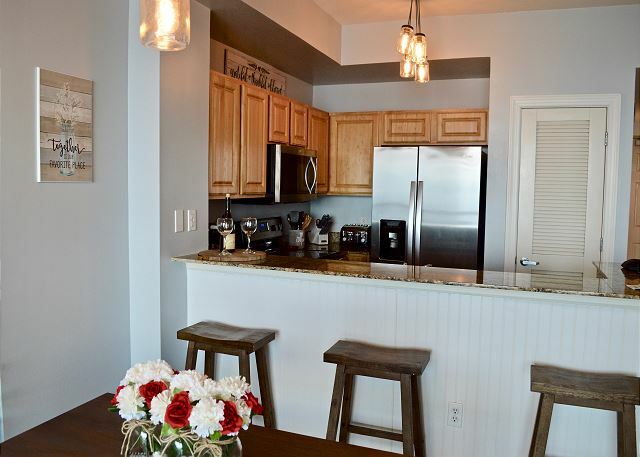 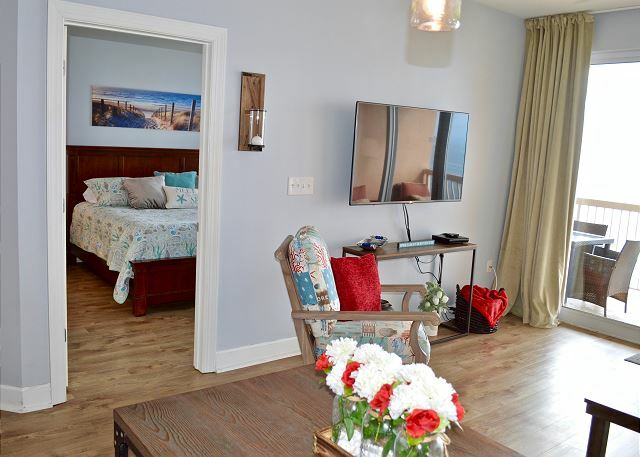 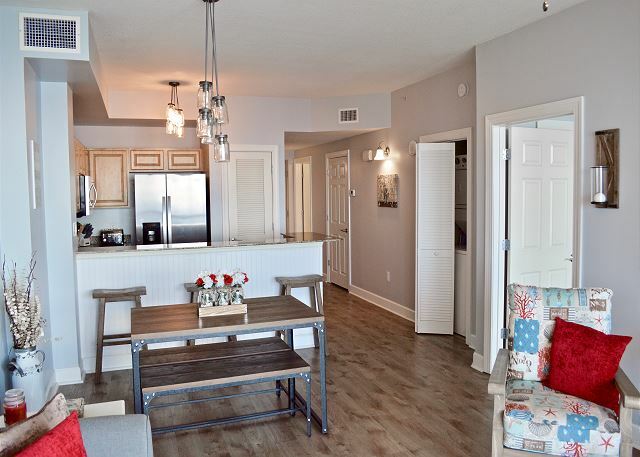 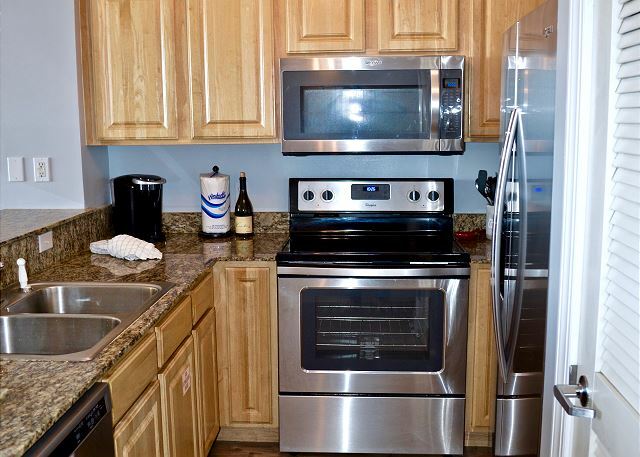 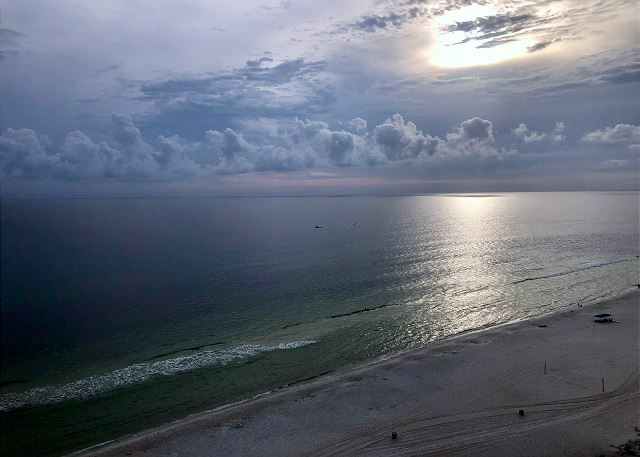 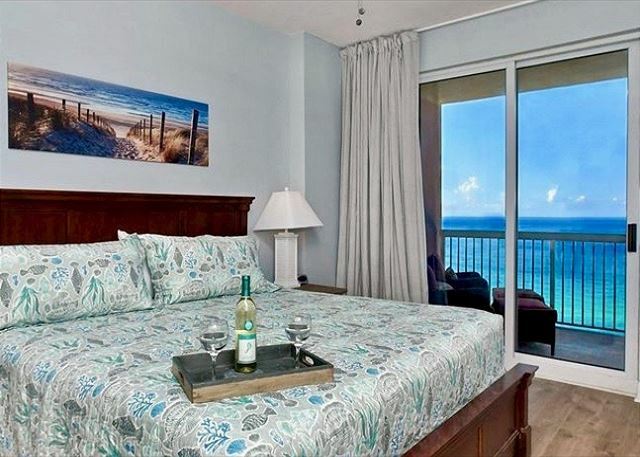 Sunrise Beach unit 1506 offers a quieter location on the west end of the beach, away from the crowds, yet is still close to all the attractions Panama City Beach offers. 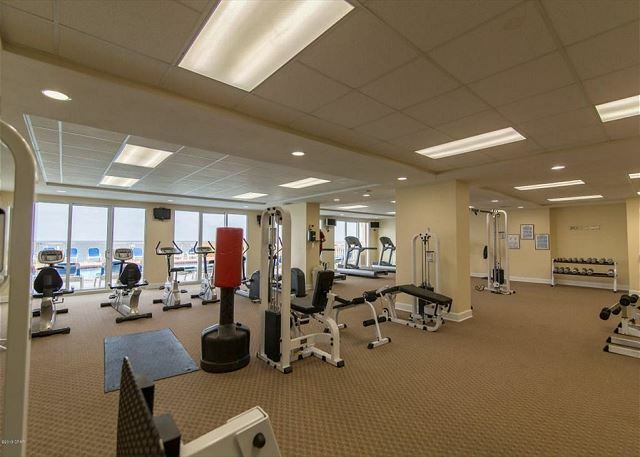 The property is very clean and well kept, offers a great gym with cardio and weight lifting equipment, and is close to Pier Park. 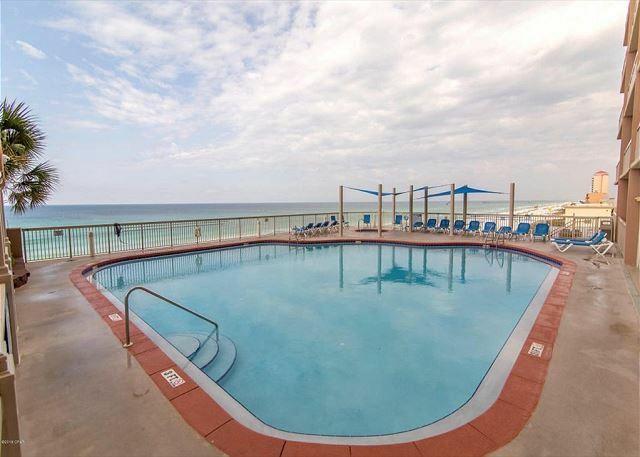 Plus, the favorite beachfront restaurant Sharkey’s is right next door. 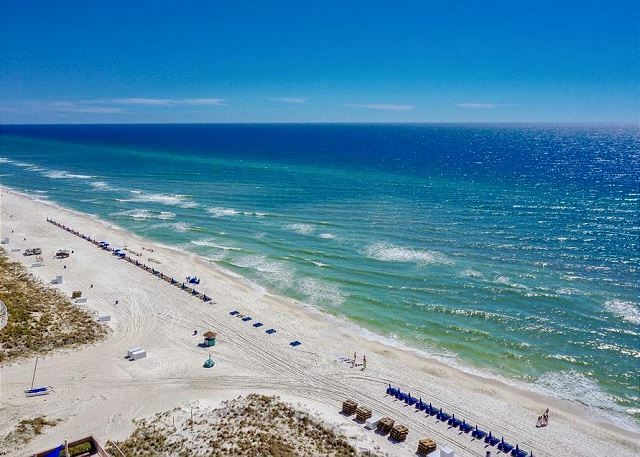 We hope you’ll experience Sunrise Beach 1506 as your beach home away from home, where you and your family can enjoy a truly memorable beach vacation! 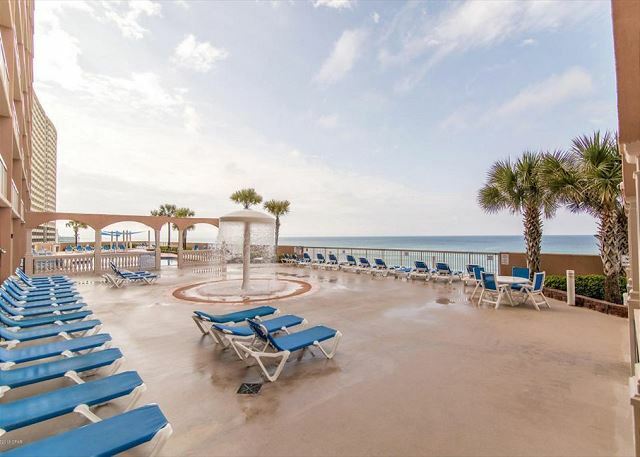 Sunrise Beach is an oceanfront, kid-friendly resort that’s the perfect combination of convenience and comfort. 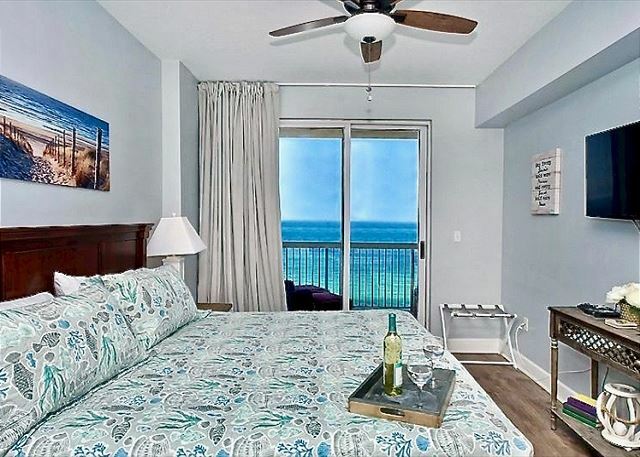 Located near Gulf World Marine Park and just a short drive to Pier Park and Frank Brown Sports Complex, Sunrise Beach Condominiums gives guests one of the best oceanfront values in PCB, Florida. 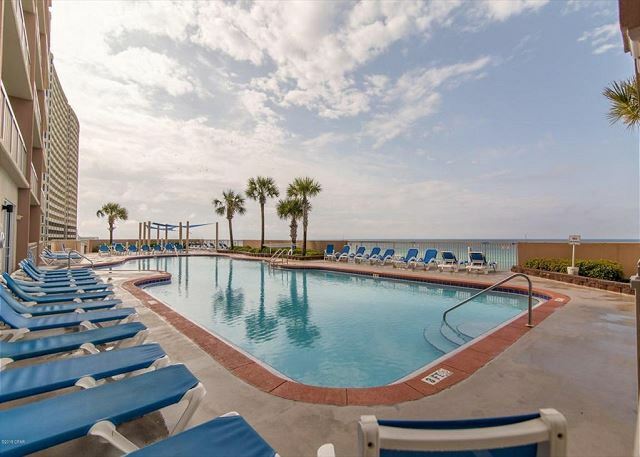 Amenities include a fitness facility, two pools, two Jacuzzis and a water mushroom play area, complimentary covered guest parking, and barbecue grills. 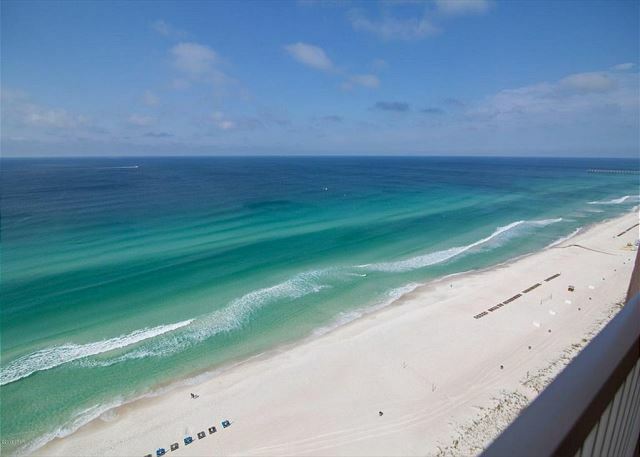 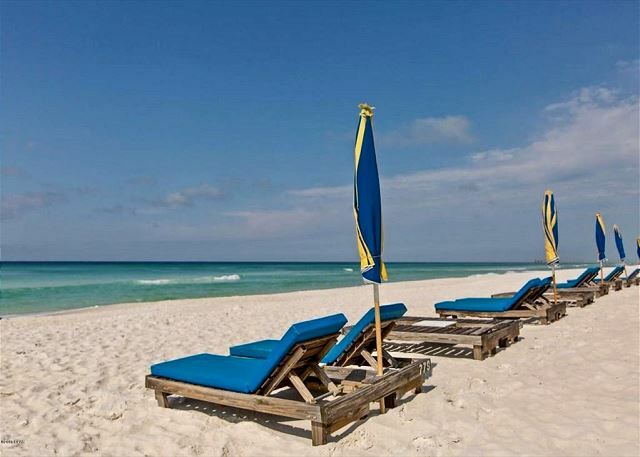 Bring your family and treat yourselves to a wonderful vacation in Panama City Beach!